We’ve all seen them – website after website sharing the same stock images over and over again. Why do they do it? Because it’s easy. Because they don’t care. Because they don’t think it matters. Because someone built the site for them and that’s what they use… There are tonnes of different reasons. But, here’s the thing – it doesn’t tell your clients who YOU are. It just sells them the same clichéd image of your business that they see everywhere else. If I mention an IT company or a complementary therapist I bet you can already picture the types of stock images that might appear for these?! 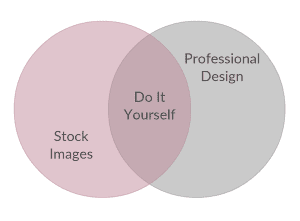 It’s not that I’m asking you to use images that don’t fit with your profession, but simply to use images that show how YOU work in your profession. In my opinion, all great website design uses original images and design – from using your own photos and having a professional logo, to having your own colour scheme and fonts. It’s called branding and it’s an important part of running a business. You can employ people to do this for you and I would really recommend it, but when you are starting out it can feel like just another cost you can’t justify. So, what’s the alternative? Do it yourself… I know, I know. I can hear graphic designers yelling at me from here – please read the previous paragraph where I recommend people using designers – I love you guys! But here’s the thing. There are some pretty cool things you can do with your own photos and your own graphics FOR FREE. If you are in any way creative then you can save yourself a load of moolah by doing it yourself – at least to begin with. The clue is in the name… what else can I say. It’s the simplest of tools to use and allows you to reduce the size, and therefore the file size, of any image you have before you upload it to your website. You can find it here: www.imageoptimizer.net and follow the instructions online or download a copy to your PC to use whenever you want. I love this website. You can sign up if you want to use all of the features, but for simply cropping and resizing images it’s free to use. Simply click the ‘Edit’ link at the top of the screen when you go to www.picmonkey.com and you’re away. You can also add some text and effects to your image using the free version and I use it to crop parts of larger images or to save images for social media. This is my favourite free tool and I must admit that I am ever so slightly obsessed with it. It’s not an optimizer so you’ll need to have your photos ready first, but you can create all sorts of graphics for websites and social media here – including website headers (like this one I made for a client). You just select one of the pre-made sizes or enter your own dimensions and you’re away. It’s so simple to create graphics using your own photos (you can upload these for free), text and icons – most of which are free. You get your own account and can save all of your designs there as well as sharing them with the Canva community if you wish. Just head over to www.canva.com to check it out. So, there you have it. Three free tools to help you make the most of your own photos and really make your website your own. 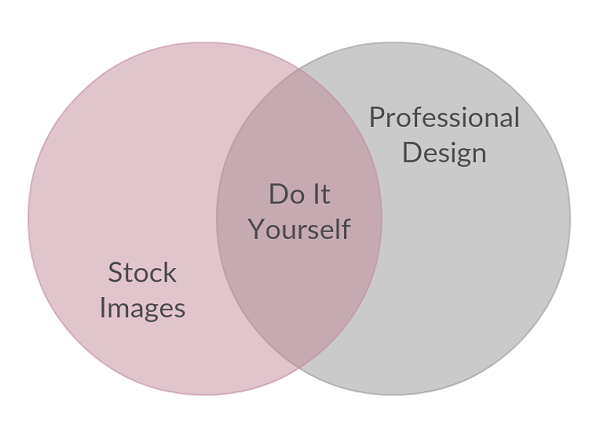 Oh, and if you need some help, you know where I am – and I know some pretty cool graphic designers and photographers who can help you take the next step if you’re ready for that too. What Do Your Website Colours Say About You? If you have ever studied colour in detail or know about colour psychology, then you will know that individual colours can evoke specific feelings and each colour has a different meaning. As a crystal therapist (yes, I’m a bit woo-woo) I use the colours in crystals to link to the chakras and colours are just as important within websites. Keeping the colour meanings in mind, remember that it is just as important to choose colours that mean something to YOU as it is to pick a colour scheme to suit your mood or meaning – your website will not reflect who you are if you choose a colour that doesn’t match your personality. After all, it’s YOUR website so make sure the colours you choose are a reflection of your personality, not what you think they ‘should’ be for a specific industry. 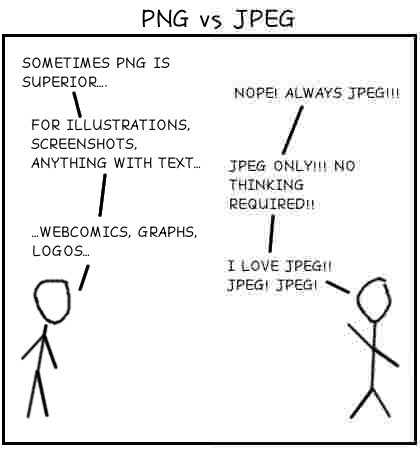 I originally shared this image on my Facebook page a few months ago but wanted to share it again as it really is such a great explanation of why you should sometimes use a PNG (Portable Network Graphics) image instead of a JPEG/JPG (Joint Photographic Experts Group) image. I often get asked to look at websites where the graphics are fuzzy (and you will see them quite often on social media too). Unsurprisingly these are usually JPEGs and this is the cause. With a JPEG image, the original image is compressed and reduces the file size to about 5% of their normal size. This is great when you need to save space, but it also means that some detail can be lost. Hence this is known as ‘lossy compression’. Portable Network Graphics (PNG) on the other hand is a raster graphics file format that supports ‘lossless’ compression. PNG was created as an improved, non-patented replacement for Graphics Interchange Format (GIF), and is the most used lossless image compression format on the Internet. So, choose wisely young Padawan – whichever format you decide to use, it is always best to keep your originals and simply save copies of your files for conversion. That way, if it doesn’t work out you can always start again!